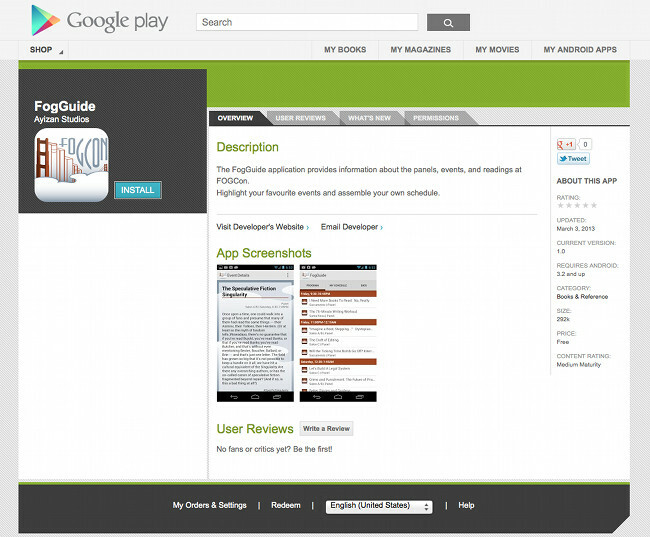 The Android version of the FogGuide went up on to Google Play today. That process is a lot quicker than the Apple iOS review process, and it’s already available for download. This marks Ayizan Studios’ first foray into Android app publishing.